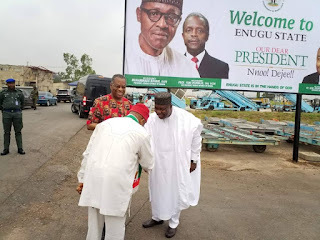 Enugu State Governor, Rt. Hon. 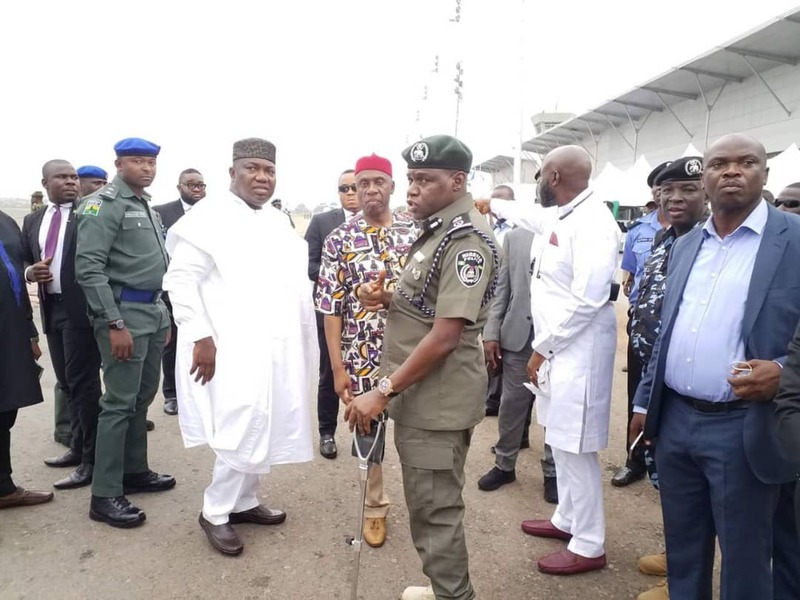 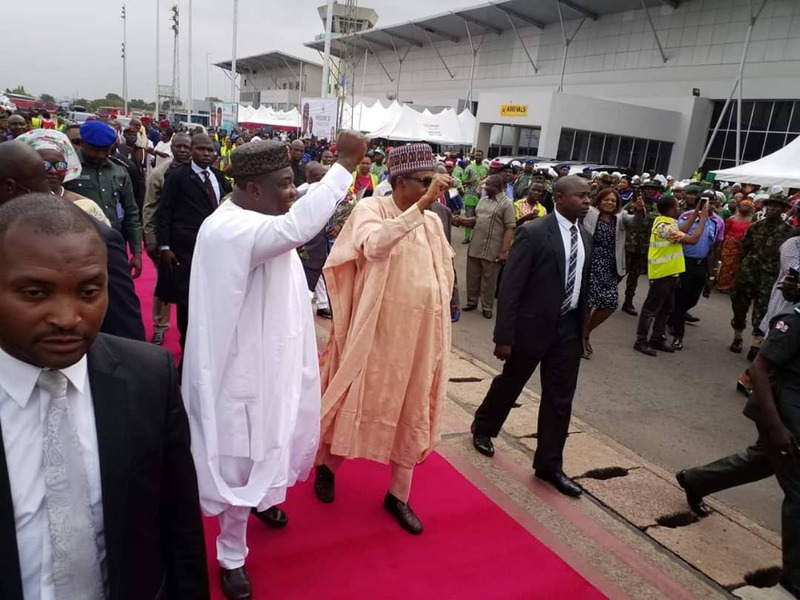 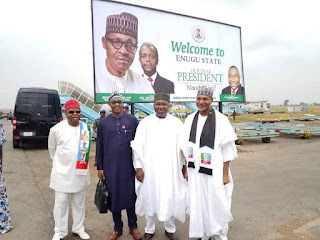 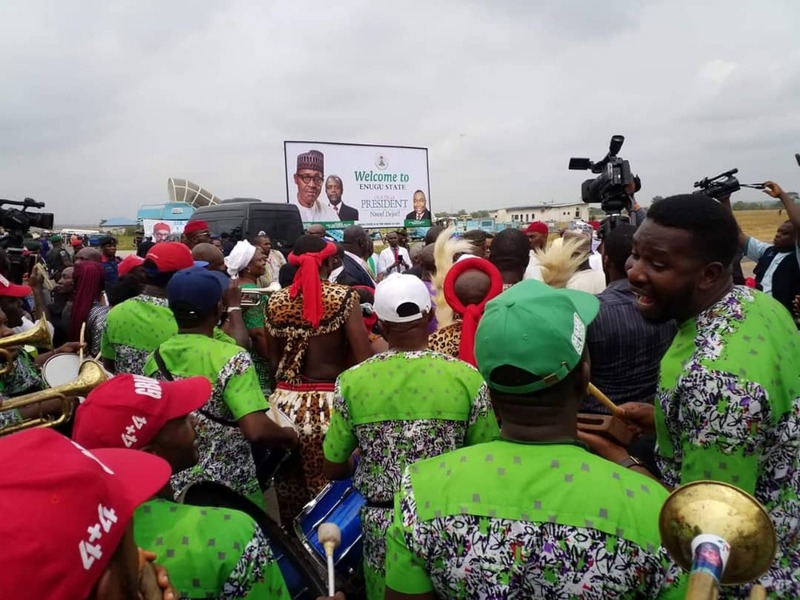 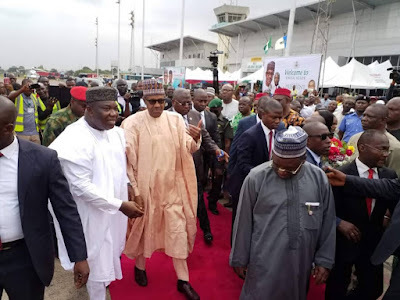 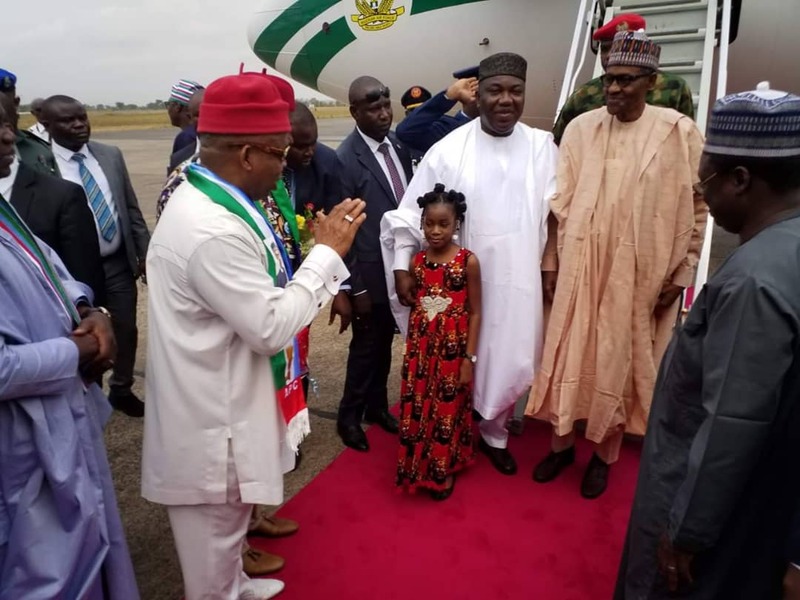 Ifeanyi Ugwuanyi, in keeping with the demand of protocol, accords President Muhammadu Buhari warm reception at the Akanu Ibiam International Airport, Enugu en route to Anambra State for an official engagement. 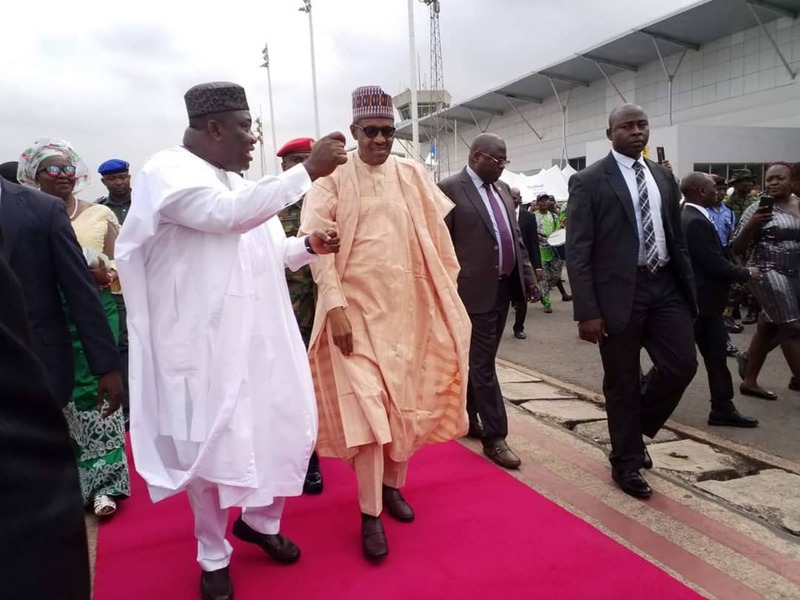 The President will also attend his presidential campaign in Onitsha, Anambra state later today. 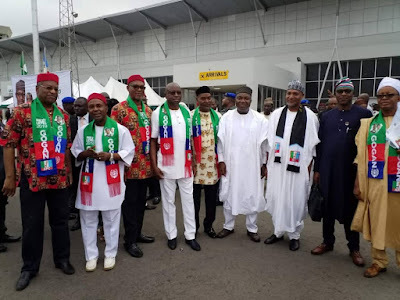 According to report, Sen Andy Uba and his team are set to receive Mr President in Anambra State.